Class Series: Wednesdays, April 10th, 17th, 24th and May 1st @ 3:15 PM: Youth Deep Dive into FamilySearch. Please check Facebook for details about the class. Sunday, April 14th @ 6:30 PM: Youth Family History Night. Watch Facebook or Instagram for details. Sunday, April 14th @ 6:30 PM: Ancestry Family Trees. How can having a family tree in Ancestry help you with your family history? Sunday, April 28th @ 6:30 PM: You Are Never Too Young to Start Climbing the Family Tree! This class covers working on Family History with Primary age children. Wednesday, May 1st @ 7:00 PM: Fun Family History Ideas to Share at Family Reunions. This class is a repeat of a popular class from the fair. 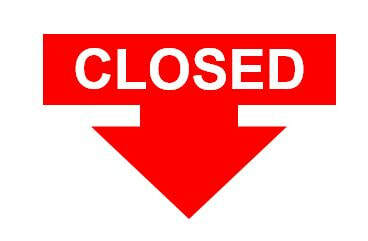 ​HEADS UP: The Advanced DNA Class from the fair will be repeated on May 5th. Youth Family History Night will be held that night also. 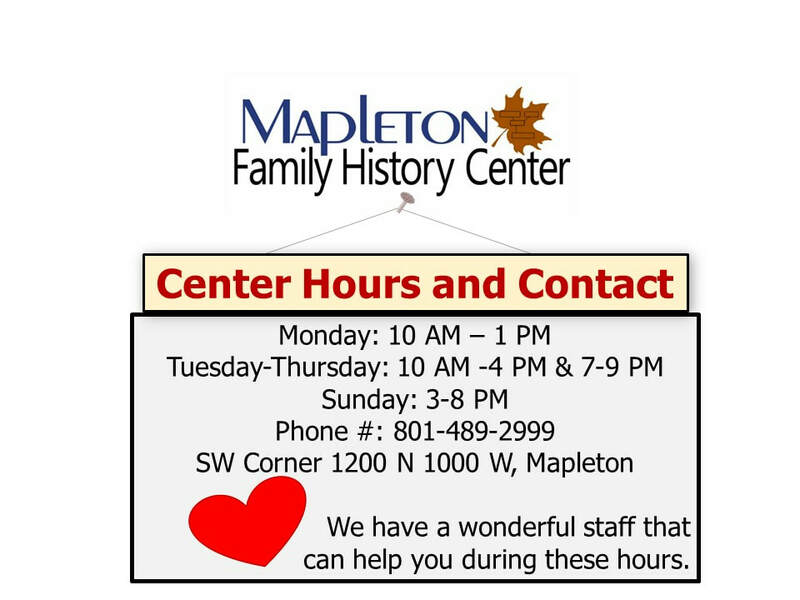 ​PLEASE NOTE: If you would like a reminder of an upcoming class the day before they are scheduled, please follow us on Instagram (https://www.instagram.com/fhcmapleton/ ) or Facebook (https://www.facebook.com/MapletonUtahFamilyHistoryCenter/ ). Please call the FHC (801-489-2999) to check on the scanner's availability or to schedule a time to use the scanner. Don't forget, we also have two Epson Photo scanners and a slide converter to digitize slides in only a few seconds. If you need specialty help with languages, research or technology, contact us at this email and we will (hopefully) pair you with one of our consultants who has the expertise you need. The center is located in the southwest corner of the Red Church at 1000 W. 1200 N., Mapleton.